A few weeks ago me and a couple of bros had a team game. 2000 points each. 2 x Minotaur lords. One on magic carpet and one with 1+ rerollable armour save who gains an extra attack for each successful save. 2 units of scouting harpies. 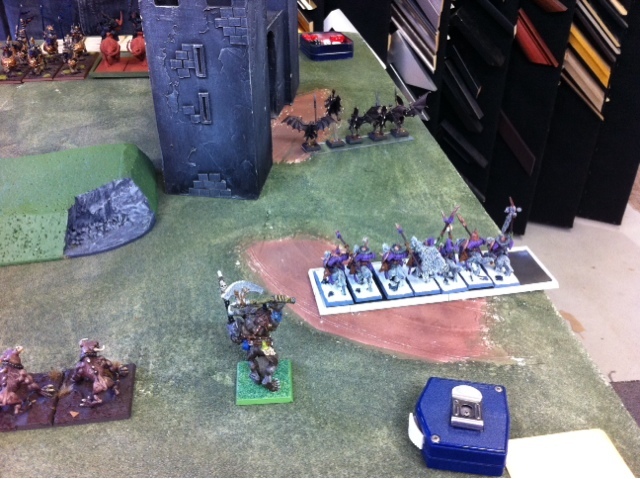 Our armies were kind of opposite but we up against a mobile empire and ogres with a couple of stone horns, mournfang and a couple of ogre blocks. 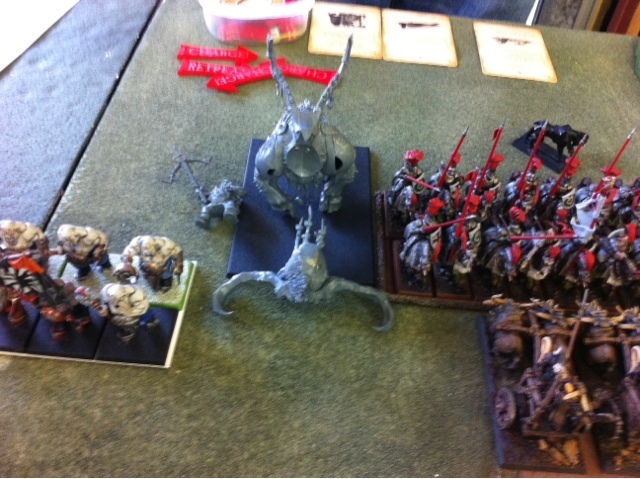 The chaos dwarfs and a couple of chariots ready to roll - well the chariots and the iron daemon anyway. 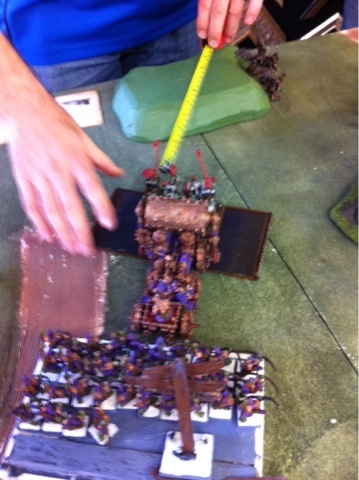 Hobgoblins get some brown pants when they see the size of he inner circle knights in front of them. 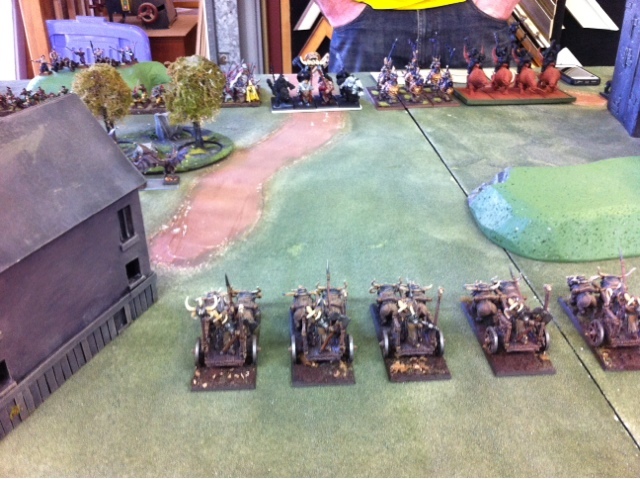 The beast chariots start their engines in the target rich environment of mournfang, demigriffs and bulls. 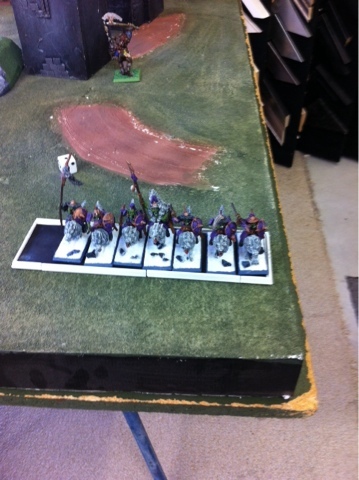 Hobgoblin wolf raiders prepare to control the extreme right flank. 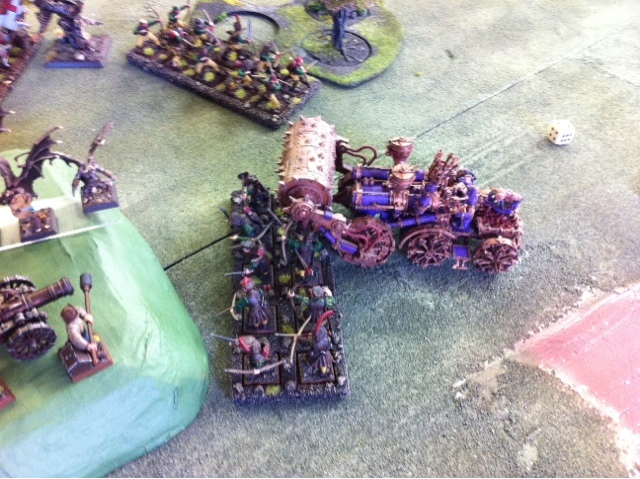 The hobgoblins go long range on the stone horn who is already wounded thanks to the hell cannon needing 6s to wound. Later on the iron daemon crashes into the knight bus who held but the next turn saw the hobgoblins rear charge the knigts who flee from the combat. 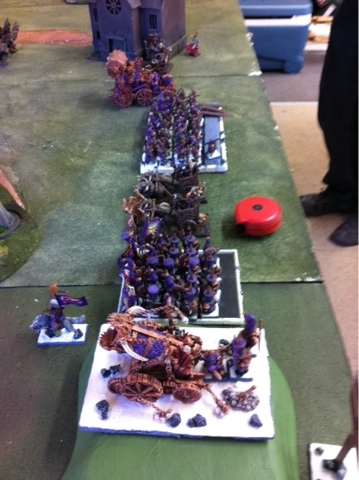 Overall we had a blast with the slow moving chaos dwarfs letting the beatmen chariots charge and soften up the empire and ogre. 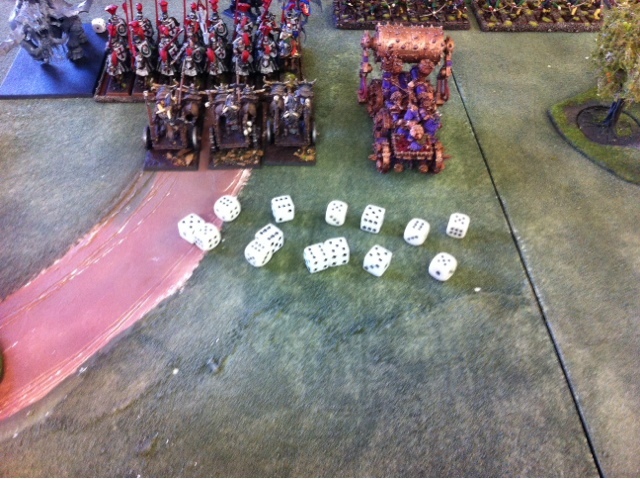 True to the dawi zharr way the beasts were slaughtered before we moved in for the kill. A fantastic game with a great bunch of bros.